Udaipur: Toyota Kirloskar Motor (TKM) announced the launch of the enhanced version of the InnovaCrysta and the enhanced Fortuner.TheInnova has been the country’s undisputed leader in the MPV segment since its launch in 2005, while the Fortuner is one of the most celebrated SUVs in the Indian automotive market. Keeping in line with the evolving requirements of its customers, the InnovaCrysta and Innova Touring Sport have been enhanced in the areas of safety and security. Speaking on the enhanced product, Mr. N. Raja, Deputy Managing Director, Toyota Kirloskar Motor Pvt. Ltd said, “Ever since its launch in India way back in 2005, the Innova has maintained a leadership position and is often referred to as a segment creator being the most preferred MPVs in the country with a current segment share of over 40%. We have registered strong demand with cumulative sales of over 52,000 units from January to August2018 period, with a growth of 13% as compared to same period previous year. The Fortuner has been dominating the SUV market since its launch in 2009.The Fortuner with its bold design and imposing presence gives a distinctively new driving experience and delivering Toyota’s legendary promise of Quality, Durability and Reliability (QDR). The 2nd generation Fortuner received a very positive response for its improved driving dynamics in all terrains coupled with its distinctive, sleek and powerful design. At Toyota, we believe in ‘Customer First’ philosophy and in-line with the evolving preferences of our customers, we are happy to introduce the enhanced version with focus on safety, convenience and security features like passenger side power seat, anti-theft alarm with glass break and ultrasonic sensor to cater to the current generation of SUV lovers. 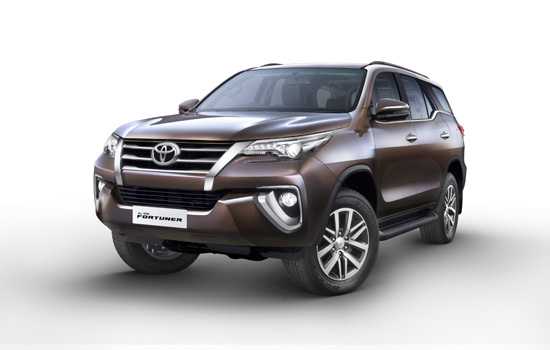 The Fortuner has won many hearts in India and globally, since its launch in 2009, the Fortuner has been leading the SUV segment in the country, currently with segment share of over 70%.” he Added.